In every developing country people are suffering from the high food prices. More than billion people are hungry every day. The creation of small-scale kitchen gardens and container gardening are the most efficient tools to provide fresh food to rural farmers and urban people. 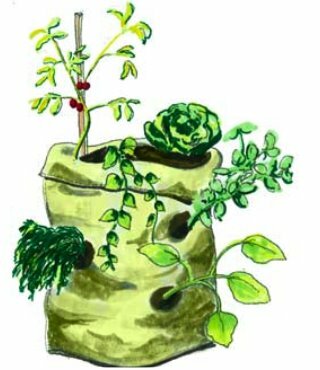 Growing food in sacks is an interesting variant of container gardening.